Now booking for American Red Snapper Season! Opens June and July! Dont miss your chance! ​200-300 days a year on the water chasing a variety of different species. This gives me a tremendous advantage when its time to put you on the fish. 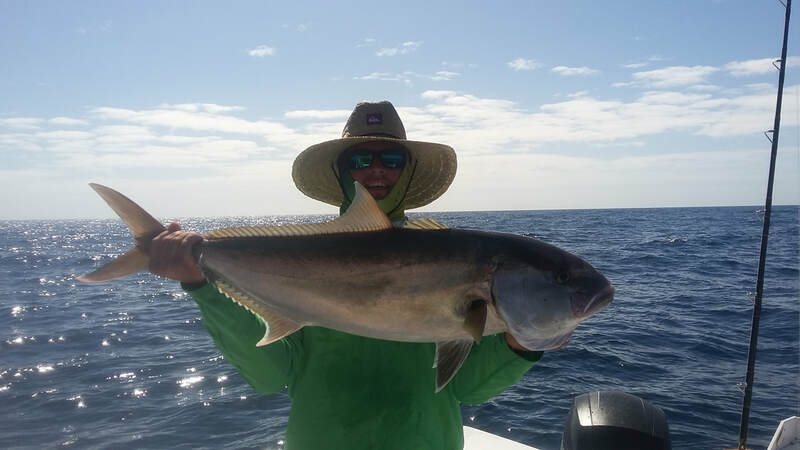 Whether its your first time fishing, or your a seasoned veteran, I welcome the opportunity to show you the fantastic deep sea fishing we have off the coast of Fort Myers, Naples, Sanibel, Cape Coral, and the surrounding areas of Southwest Florida. I look forward to putting you on the fish!" Our vessel, " The Salty Beast" is a World Cat 33TE, Tournament Edition catamaran that has an overall length of over 35 feet with a generous 10 ft 6 inch beam that carries the full length of the boat. What this means for you is a wide and stable boat with lots of space. She has ample storage along with multiple fish boxes to keep your catch fresh on ice, 2 large livewell's, A large T-top for shade, a toilet in the forward cabin area, and some of the most modern fish finding electronics on the market. She is the ultimate fishing boat for the Gulf of Mexico! Her catamaran design offers THE SMOOTHEST Ride to and from the fishing grounds. She has a proven track record of catching some BIG Fish! ...The captain was well prepared and his boat was in top Shape, Highly recommend !!! I will re-booked for next year, Fishing was Excellent..."
​​ General Prices for Deep Sea Trips aboard "The Salty Beast" are listed below. All trips include Bait, Tackle, all required fishing licenses, ice for your catch and cold bottled water. Every trip can be customized to your needs. ​From Private Trips to Split Charter Trips, We do it all!